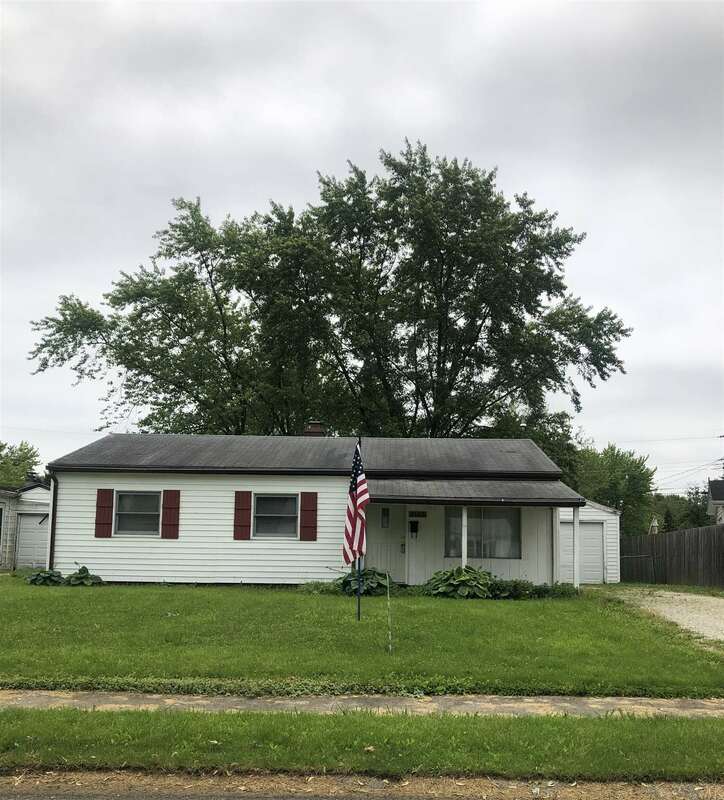 Live affordably in this Vinyl sided 3 bedroom home with eat in kitchen, enclosed 16 x 9 sun room (roof replaced in 2013) covered front entrance, fenced yard, deck, shed and 2 car detached garage (new overhead door). All appliances remain. Lovely Perennials planted in front, will appear in Spring.